A card that ensures healthy lifestyle! We as humans are social animals and our focus is always on the wellbeing of our families. The elders, the youngsters and the little ones…we want all of them to be hale and hearty. Would it be possible to ensure a healthy life style for all of them through a single card? Definitely! The Family Nutritional Services Card – offered by My Nutritional Services - offers a unique family card that takes care of the nutritional needs of your entire family. In a family, every member is interdependent on the other. Yet the lady of the house carries the huge responsibility of ensuring healthy food for every member as per their needs. 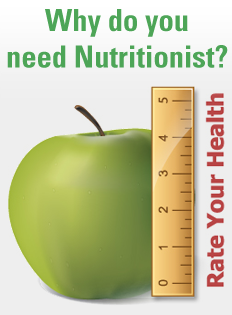 We would like to have interactions with your entire family while consultation, to rightly diagnose the nutritional deficit. This way we hope to provide better nutritional solution to your family and also make it a little lighter for your purse. So here is wishing to help your family have a healthy diet and happy life! 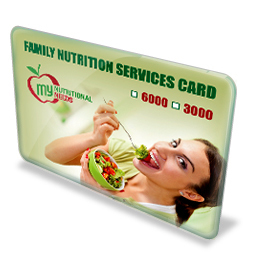 Get your Family Nutritional Services Card today! Call us at +91 901 125 6500 for more details.